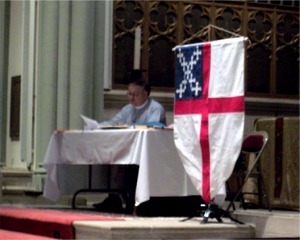 My favorite aspect of the convention was the presence of a banner representing the Episcopal Church shield that was prominently displayed during business sessions. (See photo at right.) 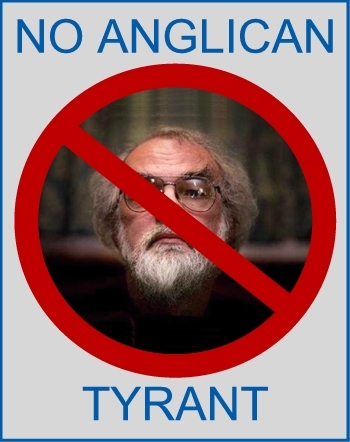 It would have been inconceivable that such a banner would be displayed during the latter years of the Duncan episcopacy. I might have been inclined to write more about the convention, but Jeremy Bonner, on his blog—see his two posts here and here—has done a reasonable job of presenting an overview of the event. I would quibble with a few of his statements, though not many. The one sour note sounded during the convention came from Dr. Bonner himself. Trinity Cathedral, where the convention was held, is in the uncomfortable (and ultimately untenable) position of being the cathedral church both for the Episcopal Diocese of Pittsburgh and the Anglican Diocese of Pittsburgh. Its chapter includes both Episcopal Church and Anglican Church of North America members. Curiously, Dr. Bonner appears to be a deputy to the conventions of each of these churches, though he is apparently not an Episcopalian. No one questioned his credentials, though I certainly thought about doing so myself. Anyway, when the convention began discussing the local canonical changes needed to accommodate the recently revised Episcopal Church canons dealing with clergy discipline, Dr. Bonner gave an angry little speech telling Episcopal laypeople that the new Title IV puts their clergy at risk of unfair prosecution, a notion promoted by the Anglican Communion Institute, whose apparent mission is to find fault with everything the Episcopal Church does. Neither the laypeople present nor the reputedly at-risk clergy seemed moved by these remarks, and the canonical changes were approved with no further discussion and virtually no opposition. Everyone except Dr. Bonner seems to have gone home happy. Mark Harris posted an insightful essay today called “Gracious Restraint Turns Out To Be Not So Graciously Requested, Again.” He suggested that Lambeth is wielding power that it was never granted. The occasion of this post was the announcement that ACC Secretary General Kenneth Kearon has applied sanctions suggested by Archbishop of Canterbury Rowan Williams to the Province of the Southern Cone for violating one of the Windsor Report’s sacred moratoria. In a comment, I suggested that Archbishop Williams was becoming a tyrant (“a sovereign or other ruler who uses power oppressively or unjustly”). In particular, the archbishop’s power to appoint does not obviously entail the power to remove whenever he sees fit. Along with the revised Resolution 2 to be presented this weekend at the annual convention of the Episcopal Diocese of Pittsburgh—see “Pittsburgh Standing Committee Responds to Concerns”—a substitute for Resolution 1 was also sent to deputies via e-mail today. Resolved, that the Diocesan Convention strongly encourages all parishes to give or work toward restoring their commitment to the missions asking of the Episcopal Church for leadership, program and ministry. St. Paul’s letters reveal the early practice of individual churches giving tithes to support Christian churches and ministry in other places (1 Cor. 16, 2 Cor. 8). In addition, the tithe of a church to Christ’s mission outside itself provides a godly example for each member in their own personal tithes. And finally, our diocese wishes to support the program and ministry of the Episcopal Church, which has been deeply involved in such ministries as hurricane relief to the Gulf Coast, service to the poor of inner cities and earthquake relief to Haiti, and which has covenants to support missionaries in Mexico, Liberia and the Philippines. The revised Resolution 1 encourages parishes to restore their commitment to the missions asking of the Episcopal Church. The original language of the resolution itself has not changed, however a new rationale statement is offered by sponsors Harold Lewis+ and Jeff Murph+. Resolved, This 145th Diocesan Convention strongly encourage all parishes to give or work toward restoring their commitment to the missions asking of the Episcopal Church for leadership, program and ministry. Rationale: The Diocesan Convention of 1996, in a decision reflective of the divisions rife in the diocese at the time, passed a resolution to allow parishes to redirect to other recipients funds normally earmarked for The Episcopal Church missions asking, reflecting divisions rife in the diocese at the time. With a new sense of unity and commitment to the Episcopal Church, it seems altogether fitting and proper for us to express our tangible support to the Episcopal Church as well. Moreover, St. Paul’s letters reveal the early practice of individual churches giving tithes to support Christian churches and ministry in other places (1 Cor. 16, 2 Cor. 8). In addition, the tithe of a church to Christ's mission outside itself provides a godly example for each member in his or her own personal tithes. And finally, our diocese wishes to support the program and ministry of the Episcopal Church, which has been deeply involved in such ministries as hurricane relief to the Gulf Coast, service to the poor of inner cities and earthquake relief to Haiti, and which has covenants to support missionaries in Mexico, Liberia and the Philippines. I will comment briefly on what this resolution is all about below. First, I want to make some remarks about the substitute text itself. In a decision reflective of the divisions rife in the diocese at the time, the Diocesan Convention of 1996 passed a resolution to allow parishes to redirect funds normally earmarked for The Episcopal Church missions asking to other recipients. Now to the substance of Resolution 1. As the rationale suggests, more than a decade ago, a diocese that harbored much hostility to The Episcopal Church voted to allow parishes to pay to other charitable causes that part of their assessment that otherwise would have gone to support the general church. Eventually, the diocese itself chose not to send money for the support of The Episcopal Church, although some parishes continued to send money directly, bypassing the hostile judicatory. I had assumed the practice of diverting money from The Episcopal Church would end when the diocese split in 2008, but some of the parishes that stayed in the diocese were among those that were not supporting the church. I believe that, if parishes are going to be in The Episcopal Church, they have an obligation to help pay for the church. That said, I think there is movement toward undoing the errors of the past. No doubt, some of the money being paid to organizations would be sorely missed if suddenly diverted to the general church. Parishes are going to have to work this out. That this resolution does not demand an immediate end to the diversions acknowledges, I think, that the transition to normality may not be as simple as it sounds. Significantly, the resolution is sponsored by what are viewed as a very liberal and a very conservative priest. Surely, that is a plus and a characteristic that will make the resolution difficult to defeat (or even speak against). Too bad that the explanation of the resolution is not better written. Which candidates were nominated by which process would be kept secret. Actually, only the first and third properties were specified by Resolution 2. The number of signatures needed to nominate by petition was only stated in the explanation of the resolution, but it was clearly the intention of the Standing Committee to require only six signatures. Members of the Standing Committee seemed quite content with their plan and were surprised at the criticism it received at pre-convention hearings. Nonetheless, to their credit, they met Thursday night to reconsider the episcopal search plan, in part, no doubt, to head off a nasty floor fight whose outcome could not be predicted. The result of Thursday’s consultation was a revised version of Resolution 2 that has just been sent to deputies via e-mail. (Apparently, policy decisions were made Thursday night, but it took some time to achieve final wording. According to the revised resolution itself, however, it was approved October 7, 2010.) As I am writing this, the revised resolution is not yet on the diocesan Web site. You can read it here. In the new plan, each of the most distinctive features of the original proposal has been modified. Most notably, the parallel nominating processes by petition and by committee are gone, replaced by processes that run successively. The Nomination Committee will announce its contributions to the slate, after which nominations can be made by petition. Petitions will require more supporters, including lay, non-deputy supporters, and signatures will have to come from at least three, not just two, parishes. In particular, petitions will require four canonically resident clergy and six laypersons in good standing in the diocese, three of whom must be convention deputies. Three weeks will be allowed for the submission of petitions. Something not completely obvious is that the Nomination Committee will, at the end of its deliberations, release only the names of nominees, probably along with their current positions. This represents an effort to maintain a level playing field. Detailed information about all nominees, however nominated, will be released together after background checks have been completed and all supporting information has been delivered to the Nomination Committee. This last quirk is something of a mixed bag but probably does a good job of balancing competing objectives. Members of the diocese will have to do a little digging to figure out whether the slate coming out of the Nomination Committee is balanced (or, more likely, contains someone they think they could support enthusiastically). In the age of the Internet and unlimited long-distance, this is an easier task than formerly, but it does require special vigilance on the part of clergy and laypeople in the diocese. In the end, the convention cannot micromanage the episcopal search process. The Standing Committee and the committees it creates will surely face challenges that have not been anticipated, and the diocese must trust them to make reasonable decisions without undue constraints imposed at the beginning of the process. Thus, the convention should not be upset that all the details of the search process are not incorporated into the resolution proper. I’m sure the Standing Committee will be given grief if the search process is modified along the way without reasonable justification. I suspect that at least some members of the Standing Committee feel that they worked hard to write Resolution 2 and believe they were unfairly criticized for their work. Some may even have entertained thoughts that the diocese has demonstrated that it is not yet ready to elect a new bishop. Actually, I believe that what has happened in the past two weeks is very encouraging. The Standing Committee, trying very hard to avoid the problems of the past and create a fair process, gave designing an episcopal election process its best shot. When the people of the diocese found the proposed process wanting—it matters not whether or not they were being a bit paranoid—the Standing Committee listened and tried honestly to respond to the perceived difficulties. If that doesn’t increase everyone’s confidence that we can all work together for a better Episcopal Diocese of Pittsburgh, I don’t know what would. I don’t think there is much enthusiasm in The Episcopal Church for the proposed Anglican covenant. That is not to say that I am certain that the General Convention will reject it. I think, however, that if deputies and bishops vote with integrity, the covenant will indeed be rejected. Alas, our experience in passing B-033 in 2006 is worrisome. It [B-033] was coercive and counter to our sense of right from the very beginning, but we adopted it to keep the peace, which end it accomplished not at all. To me, this [the covenant/covenant process] seems just like another big B033, a way of extorting a promise of altered behavior from us. Do we really intend to “stop” doing everything that might upset someone in the Anglican Communion? Is that how we see Jesus command to us? “Verily, verily I say to you, don’t do anything to cause a controversy, but always do whatever keeps everyone from getting upset, no matter whether you believe it to be really right or wrong.” If Paul had taken that choice little piece of advice, I don’t think that the gentile Christian church would even exist today. Yesterday, I caught a new spot for Campbell’s soup that boasts of the company’s “farm-grown ingredients.” I did a double take. “Farm-grown ingredients”? As opposed to what? Test-tube carrots? Magically conjured potatoes? I imagined Peggy on Mad Man presenting the idea to Don Draper. The scene did not end well. That reaction was similar to mine, though the first alternative to “farm-grown ingredients” that came to my mind was Soylent Green, not an appetizing thought! Campbell’s, in an attempt to suggest that its soups are wholesome and nutritious, has come up with a phrase that seems to be saying something but is really quite meaningless. I would be willing to bet that, for example, Progresso soups also contain farm-grown ingredients. In fact, I would be much more impressed with Campbell’s’ power of innovation if the company could produce soups without using farm-grown ingredients. Actually, it’s amazing what advertising executives can (or will) do. Tobias Haller, BSG, describes St. Laika’s as a “virtual parish.” From what little there is on the blog so far, that seems like a fair description. The blog carries the tag line “You don’t have to be like me and I don’t have to be like you,” a commentary, I take it, on the uglier trends within the Anglican Communion. 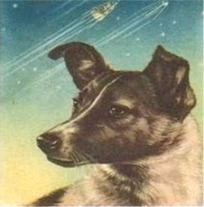 A companion site to St. Laika’s is THE ANCHORHOLD @ St. Laika’s, administered by Ellie Finlay.